I love this saying! Eric asks me all the time why I have such a large hording problem assortment of cookbooks and why I spend so many hours reading food blogs and recipe websites. I always look at him like “Are you kidding me? I obviously love to cook (and eat), and have to feed you, so I spend countless hours reading and studying food. I just enjoy it!” He then looks at me hurt and says “well I just don’t know why you need all that anyways, you NEVER follow a recipe!” Hahaha! He is completely right. I NEVER follow a recipe. I always change one thing or another. Whither changing the ingredients to suit my tastes or what I have on hand or changing a cooking technique to make things simpler I never follow a recipe to a T (I just look to it as inspiration). This recipe is a perfect example of this! Have you ever heard or seen beer can chicken? Typically you take a whole roaster chicken, rub it with seasoning and the stick a can of beer inside of it and slow roast it or grill it. When I saw this recipe I was quite intrigued because instead of beer it uses Root BEER! 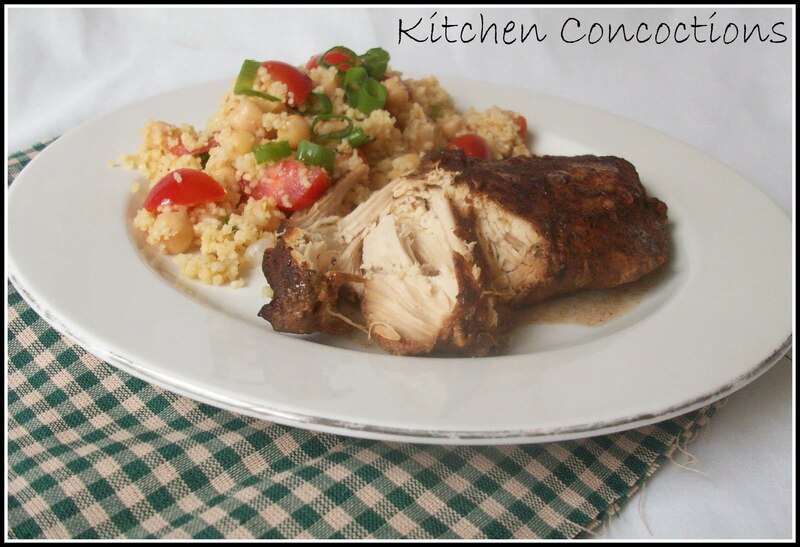 I wanted to try this recipe but didn’t have a whole roaster chicken on hand. So I used what I had, chicken breasts, and decided to ‘slow-cook’ the chicken in the Root Beer. It worked just fine and Eric couldn’t stop saying enough great things about it! (How’s THAT for not following a recipe, Babe! Me: Batting my lovely eye lashes). Combine first 9 ingredients in a small bowl. Reserve 1 teaspoon of this spice rub and set aside. 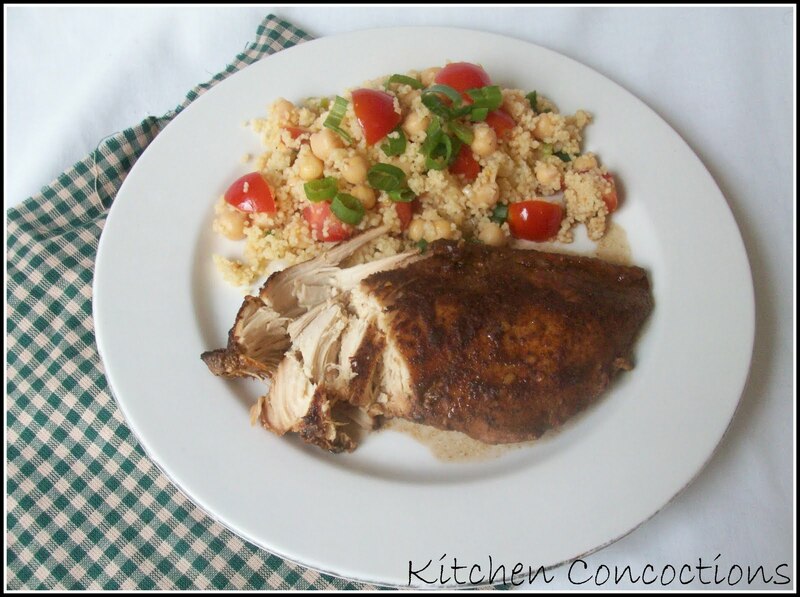 Use remaing spice mixture and rub all over chicken breasts. When chicken is almost done cooking, bring remaing 2 cups of root beer to a boil. Cook until reduced to 1/3 cup (about 20 minutes). Remove from heat. Add reserved spice mixture, butter, and vinegar, stirring until smooth. Serve chicken with reduced root beer sauce. Sometimes recipes are just there to inspire you to create something amazing – like this recipe! !